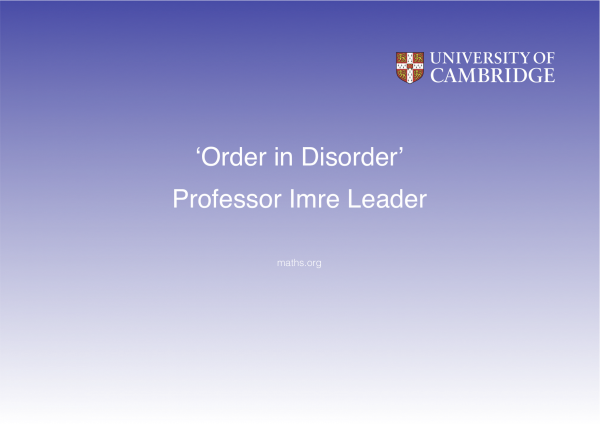 Some of our past public and schools lectures have been filmed. To watch the talks, please click on the links below.If you'd like to be notified when new talk videos are available, please subscribe to our YouTube channel. For information about future talks, please see our Events page. "Some bits of mathematics are completely free of equations: just about patterns. 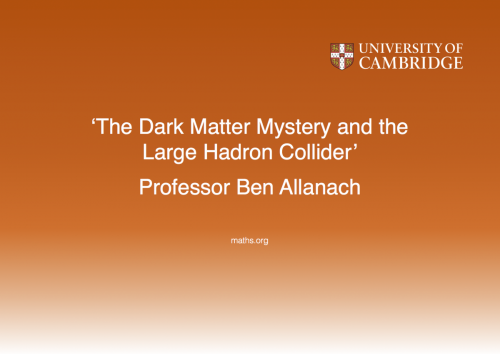 I want to tell you about such a bit of maths, with no equations at all, called Ramsey Theory." 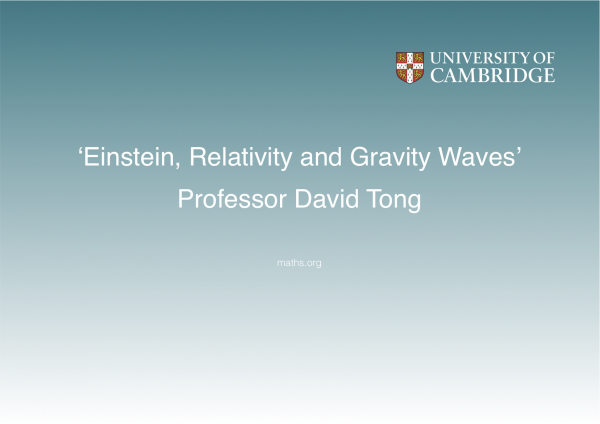 This talk was originally given to an audience of Y12 A-level Maths students (age 16/17). "This talk will mostly be stories... I want to tell you about Albert Einstein, and about his theory of relativity - what it is, why he was thinking about it and also about some of the very latest developments that have happened just this year." 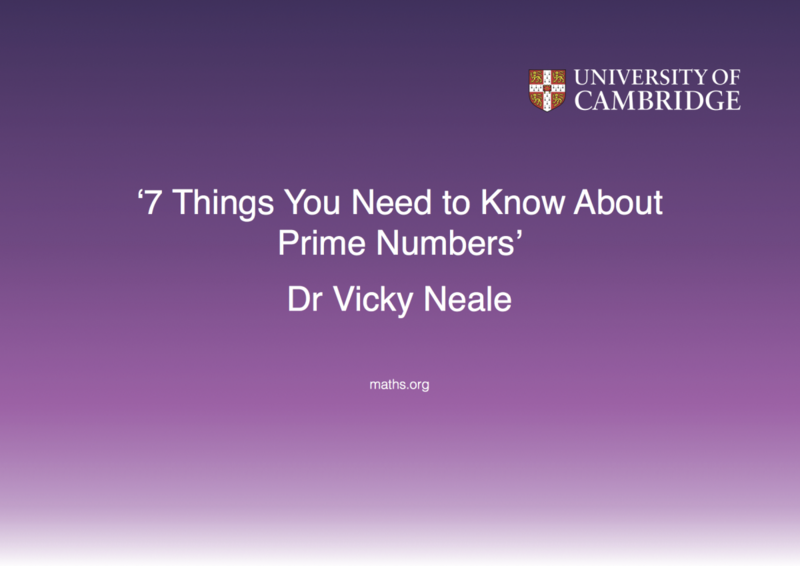 Prime numbers are fundamentally important in mathematics. Discover some of the beautiful properties of prime numbers, and learn about some of the unsolved problems that mathematicians are working on today. "As a theoretical physicist I spend a lot of my time thinking about fundamental particles smaller than an atom. But I also spend some of my time thinking about the Universe, which is about as big as you can get. ... I'd like to take you on a journey to the very small and the very large." 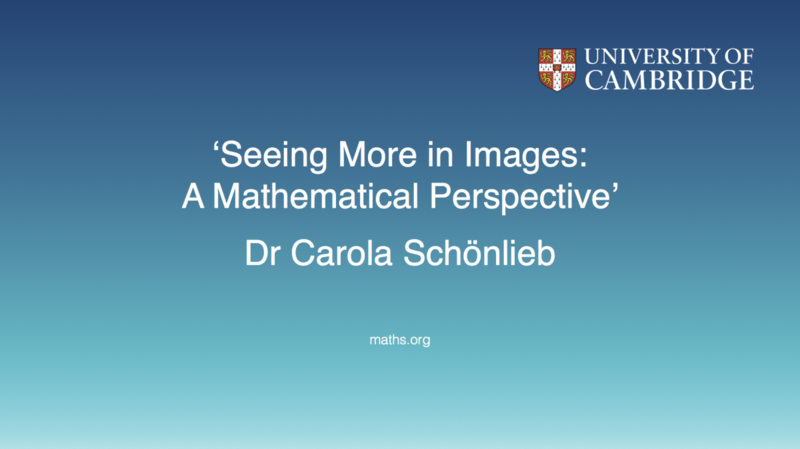 Dr Carola Schönlieb gives an insight into some of the mathematics behind image analysis and its wide-ranging applications in fields ranging from developing cancer therapies to restoring artworks, together with some personal reflections on her own career journey through mathematical study and research. How do mathematicians solve equations? 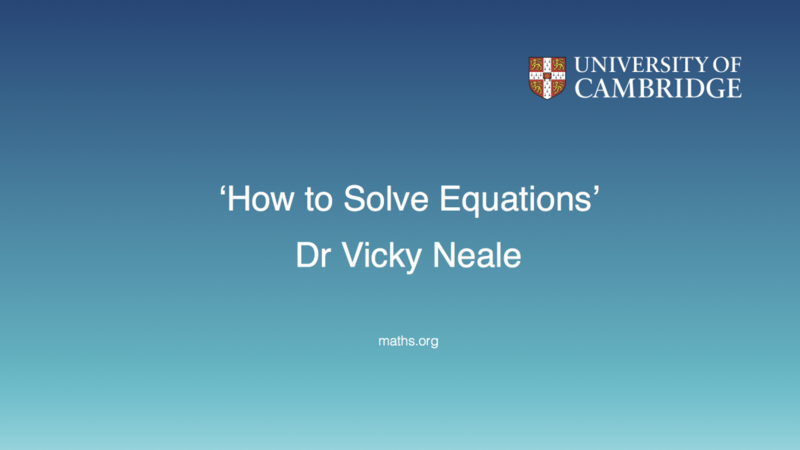 Dr Vicky Neale explores some celebrated equations to find out more, and covers some highlights from the rich history of number theory along the way.